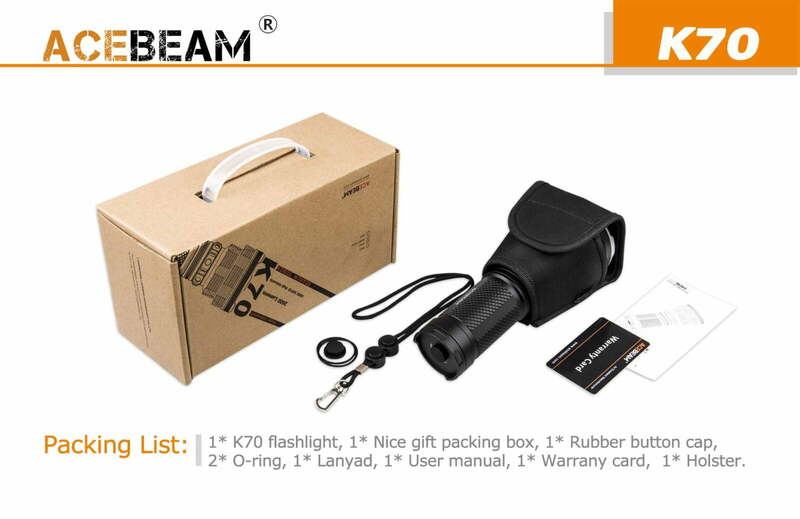 Home / Stage Lighting / All Disco, Mobile, Stage Lighting / Acebeam K70 Flashlight LED with 1.3km Beam. The Throw King! 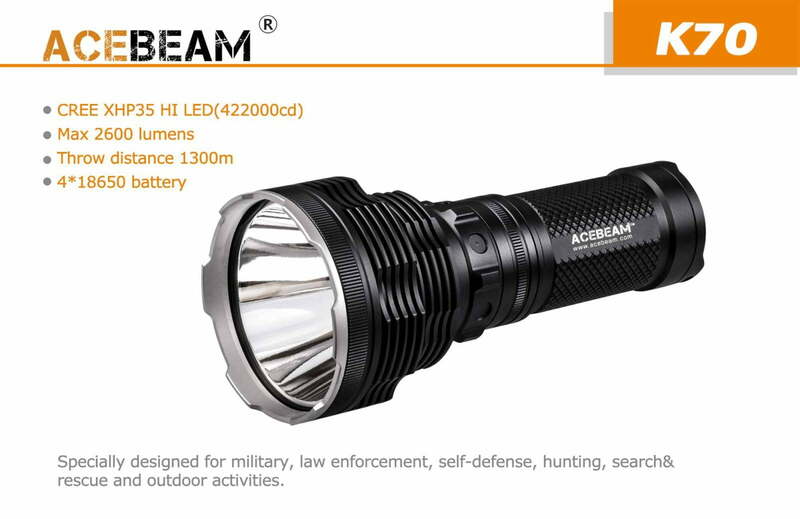 Acebeam K70 Flashlight LED with 1.3km Beam. The Throw King! 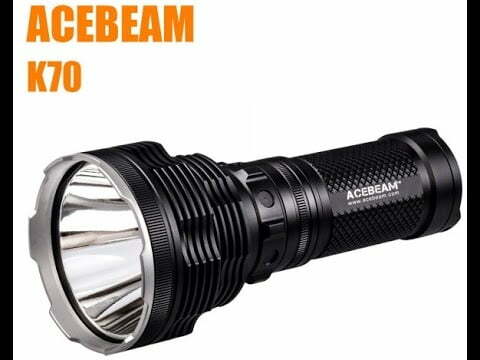 Acebeam K70 Flashlight – 1.3km Beam Throw! 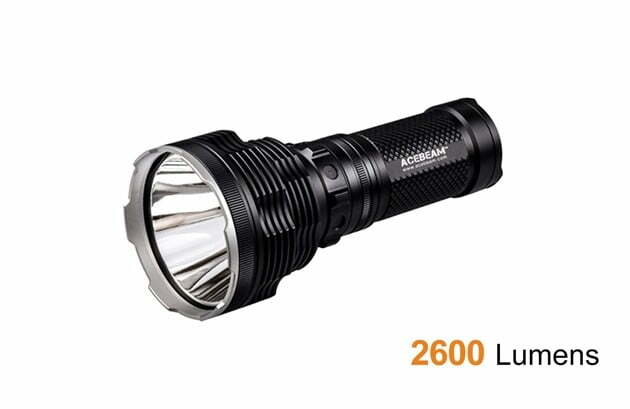 2600 lumens! Amazing Power! 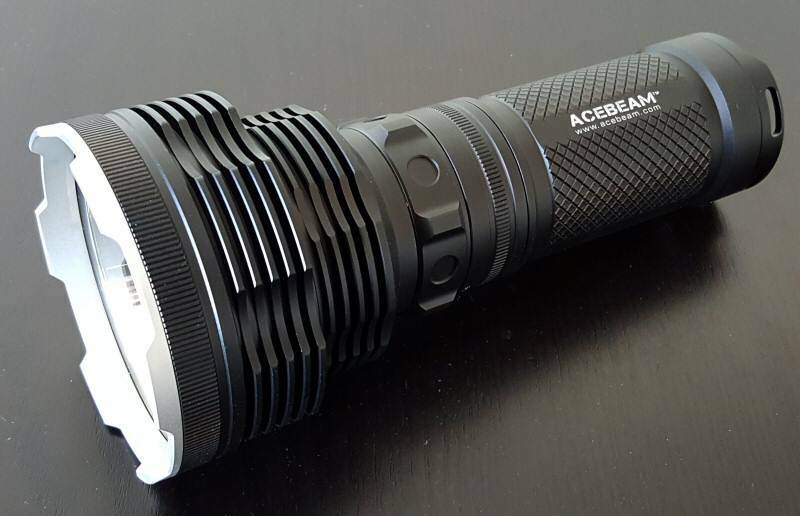 The Acebeam K70 Flashlight is; ‘The New Throw King of Flashlights’ and Searchlights! 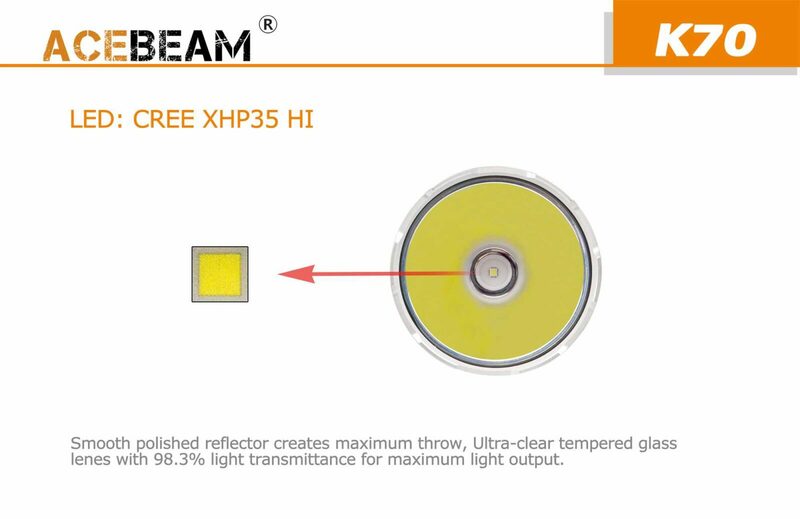 Utilising a single CREE XHP35 HI LED; its Maximum output is 2600 lumens. It has a HUGE throw-beam of 1300 meters (1.3km). The body has a magnetic ring; for users to select 6 brightness levels and 1 strobe position. 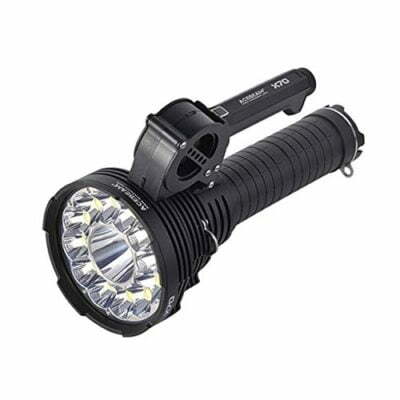 It’s a very powerful and versatile flashlight that meets many demands such as; Farming; Camping; Hunting; Search and Rescue; Life Guards; Military; Police and Law Enforcement; Security Guards; Caving; Mountaineering; Rambling; Adventure; and not forgetting; Self-Defence – You can easily disorientate an attacker or Burglar with this amazing Flashlight; giving you time to either escape or overcome the threat! PLEASE NOTE: This Flashlight does not come with batteries or battery charger. When buying online; you have a choice to buy with batteries; or without. 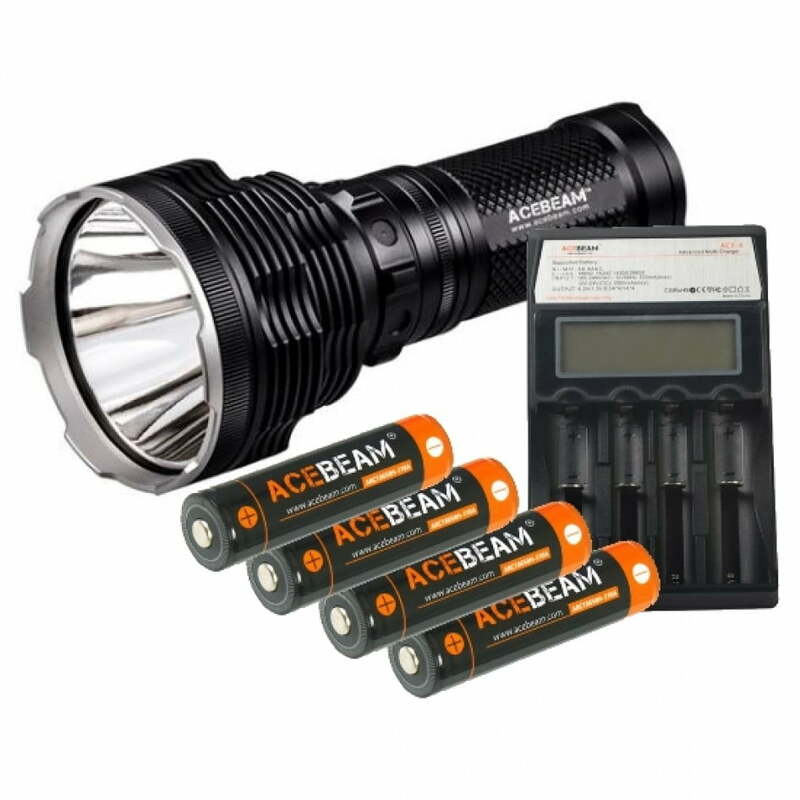 Also; you can opt for the entire package: K70 Flashlight; 4 x Rechargeable Batteries; and Ace-4 Battery Charger – Please see the options when adding to basket. Buy from Yowcha; EVERYTHING is included; NO extra Custom Charge; NO Extra Tax and VAT Charges! Waterproof; IPX-8 Standard (2 meters) DO NOT use on-off switch whilst underwater!! 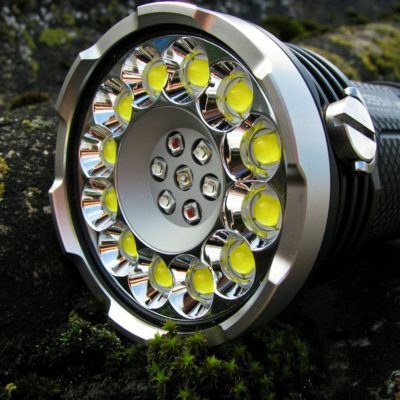 Specially designed for military, Law Enforcement, Self-defence, Hunting, Search & Rescue and outdoor activities. 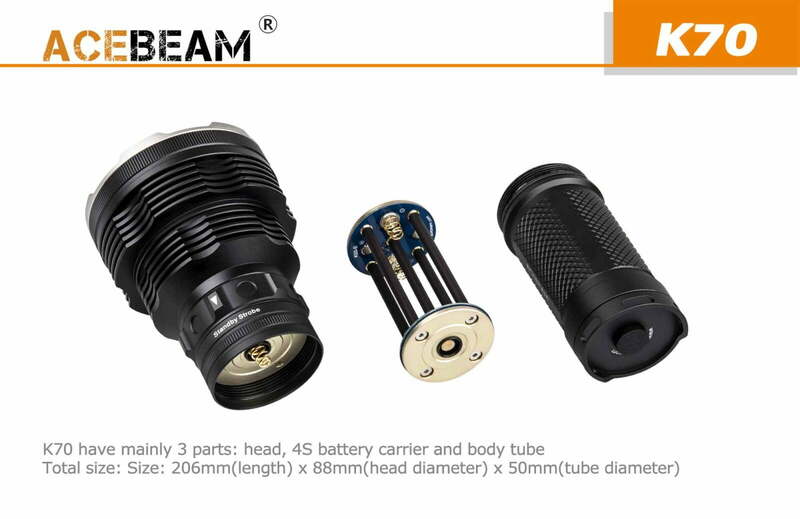 Acebeam X70 LED Searchlight 60000 lumens. 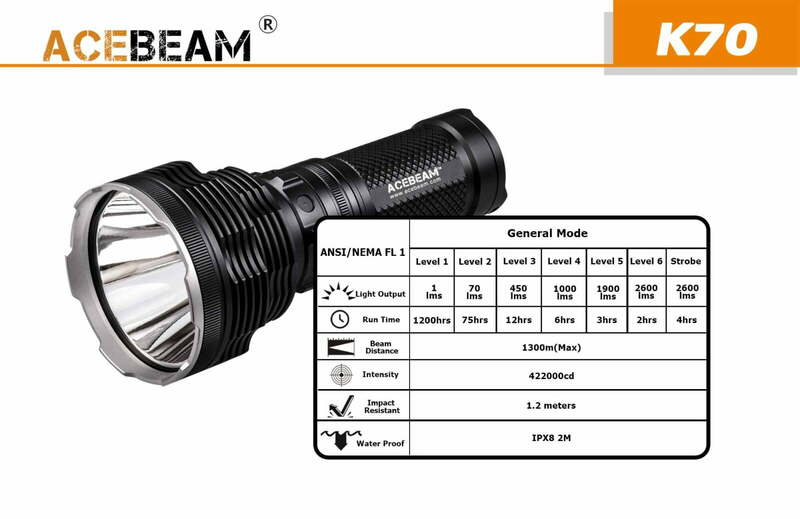 World’s most powerful Flashlight 2019 1.1km Beam! Acebeam X80 is This The Worlds Most Powerful LED Torch 25,000 lumens! 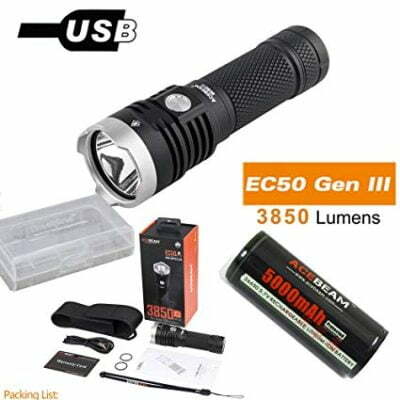 Acebeam EC50 Gen III LED Flashlight CREE XHP70.2 – 3,850 lumens AMAZING!